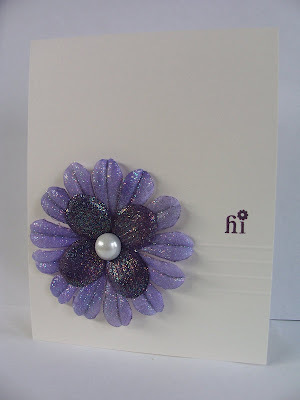 I made this easy card a while ago, but it works for Sharon Johnson's challenge from last Friday, which was to use glitter. The "white" cardstock is shimmery cryogen white Curious (it's not a bright white AT ALL, I was disappointed) from cutcardstock.com. I colored the Pretties flowers with my lavender and eggplant inkpads, ran them under water for just a few seconds to lighten them, and heat set them very carefully. I then smashed them in versamark and Iridescent Ice EP and heated again. I scored 4 lines 1/4" apart on the base and attached the flowers with Mono Multi, added a half-back pearl (I know it doesn't really match my "white" cardstock), and added the sentiment in eggplant. that is some pretty flower! I love the flowers on this one, so pretty and sparkly!!! I love purple, so these are perfect in my eyes!!! Thanks for the comment about the CS, I have been looking at it, but will now steer clear!!! 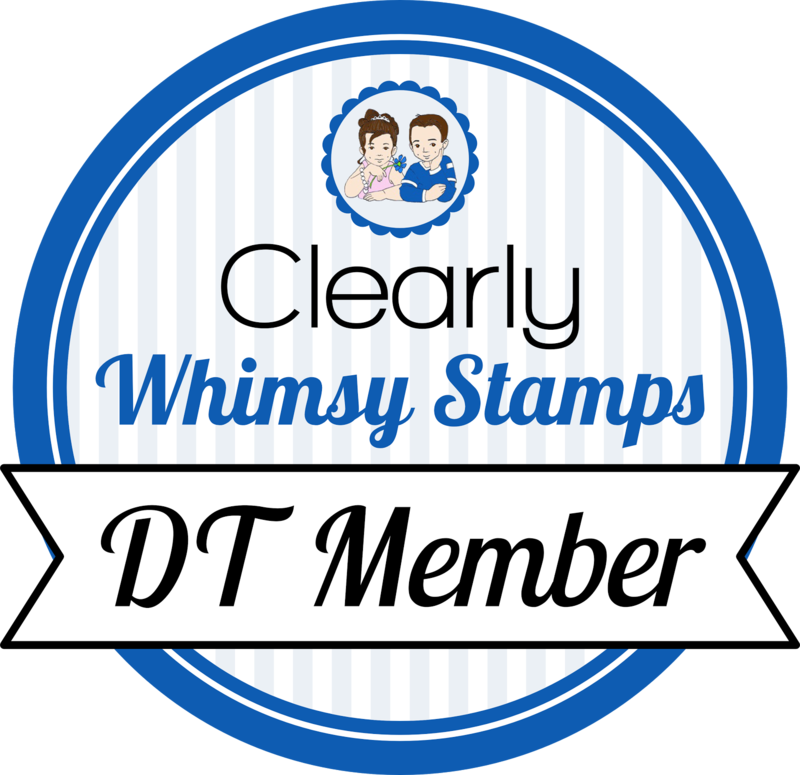 A New Badge for My Blog!